Some sculptures, however, like to capture ferocity and terror in their creations, rather than the grace of finer creatures. 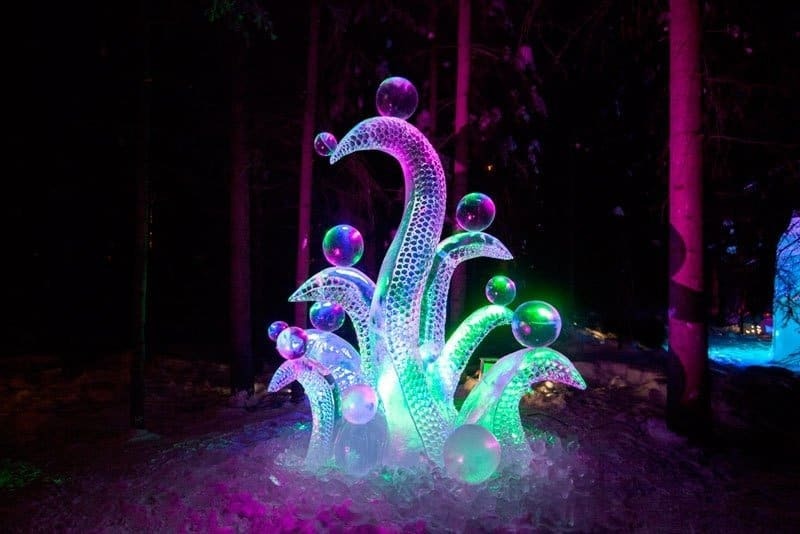 Some of these ice sculptures come straight from dreams and boggle the mind. Should we feel fear because those arms are certainly tentacles? Yet on the other hand, the grace of the creature being able balance those ice bubbles suggests something more divine. 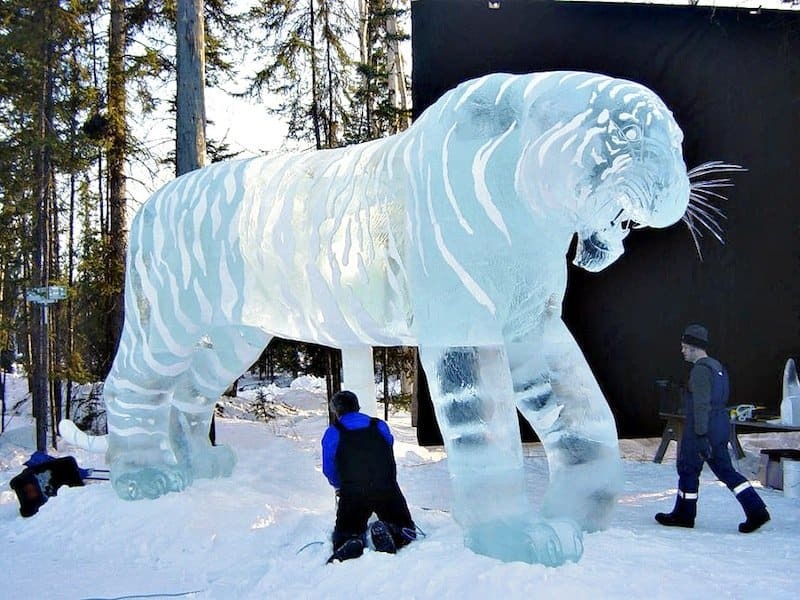 Sometimes these ice sculptures are so realistic that other animals try to make friends with them. 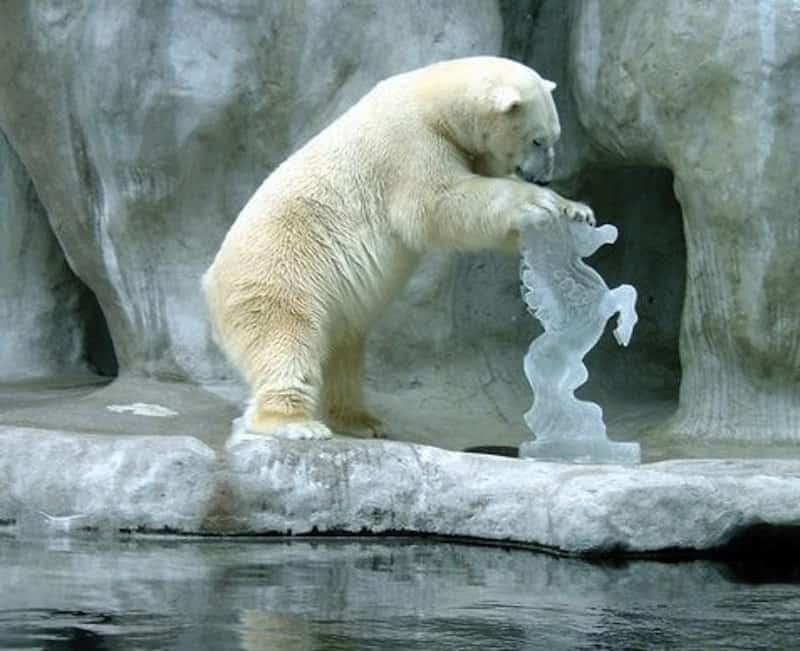 Either that, or the polar bear thinks this ice sculpture might be a tasty snack. 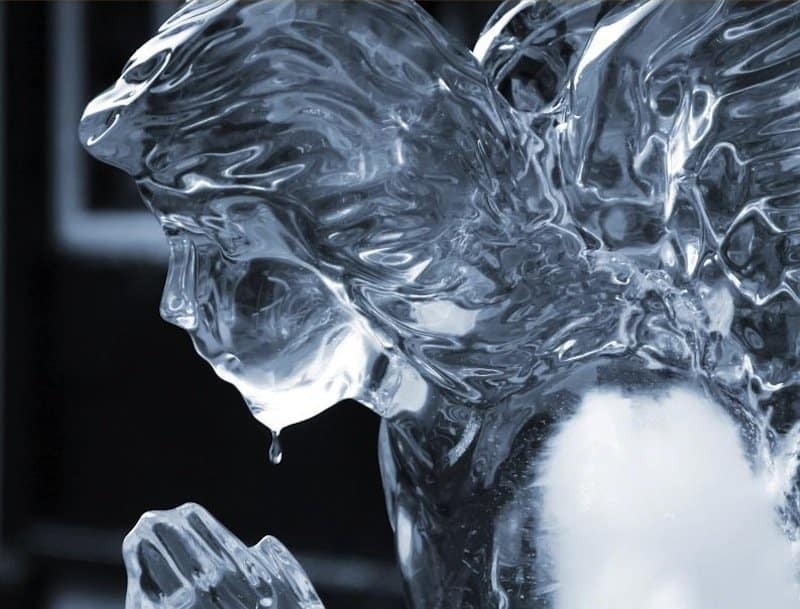 Life is fleeting, and this photo of an ice sculpture’s teardrop captures the message beautifully.